Athina Said: I love the monochromatic look! I have no other words but STUNNING! Nina Said: Love how she has coloured the image, giving it a monochrome look. The card design is fabulous. Laura Said: WOW WOW WOW! I LOVE the look of the black and white coloring style! This is beautiful! 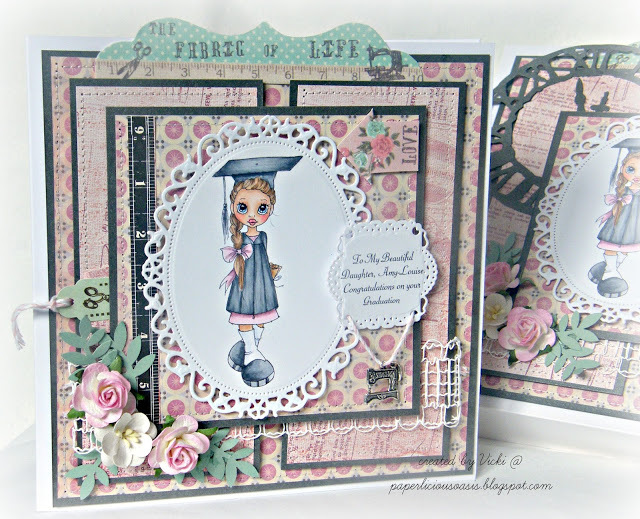 The accents, details, and stunning coloring really makes this a jaw-dropper! LOVE this! Laura Said: HOLY SMOKES! The coloring is BEAUTIFUL! Look at that stunning hair!, I also love the colors Laura chose! Such a beautiful card! 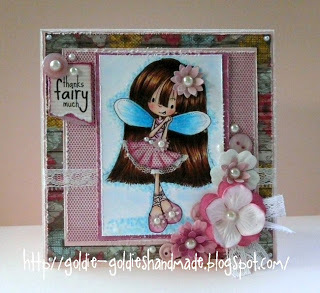 Joni Said: Love her coloring, adorable image and super layout!!! Shanna Said: This card just made me laugh and I thought it was a wonderful uplifter! Holly Said: Birthday Anya and Strawberry paper with a yummy cupcake - what could be cuter than this? I love it! 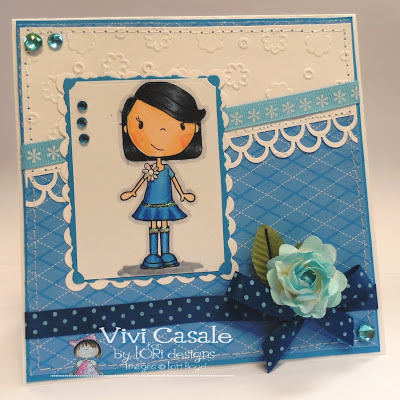 Holly Said: Loved how she used her prima doll and the fabulous card design and colors. Holly Said: OMGosh this is the cutest little chipboard book, actually I think it might be a paper bag book but either way, I LOVE IT! Cute design and finally, something I can KopyKat for the boys! lol. 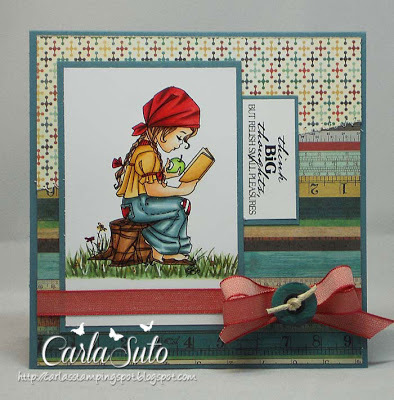 Holly Said: OMGosh what a beautiful and fabulous design, love the colors and the cute image. 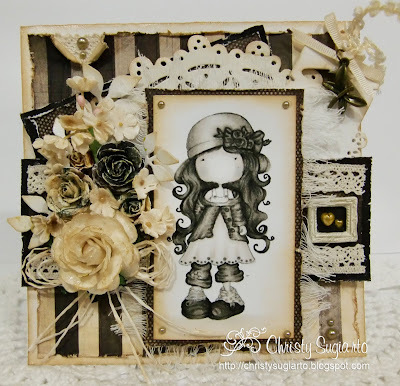 AND then with the scraps left over, she made a fabulous Prima Doll tag!!! I love it. Dangina Said: What a fabulous layout. I love all the dimensions and the colors are awesome. Loved it! Olivia Said: beautiful coloring and great card layout. 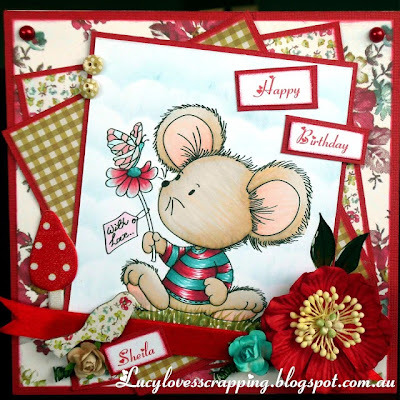 Marcy Said: Beautiful card! 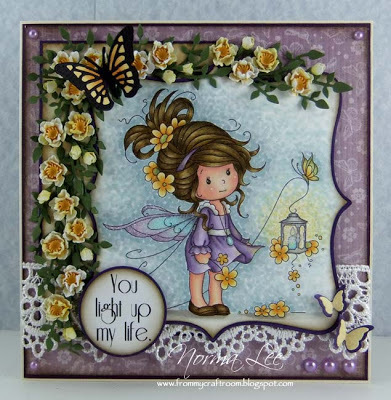 I love the image, the colors she used and all of her pretty details. Her coloring is so pretty too! 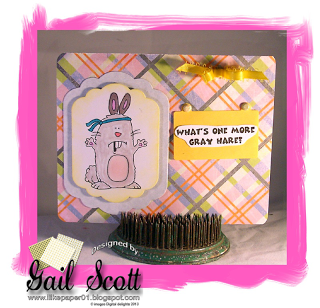 Marcy Said: Her coloring is amazing and the card is just gorgeous! Laura Said: WOW! This is such a gorgeous card! The purple and yellow combination is so pretty! I am always in awe of Norma's handmade flowers that always elevates her projects to above stunning! Her coloring is amazing as always and this handmade flower spray is gorgeous and matches the flowers in her hair perfectly! I have to admit that I have a LOOOOOOOOONNNNNGGGG wish list of punches and die cuts that I need to buy so I can try and make some of Norma's style flowers - LOL! Beautiful job! 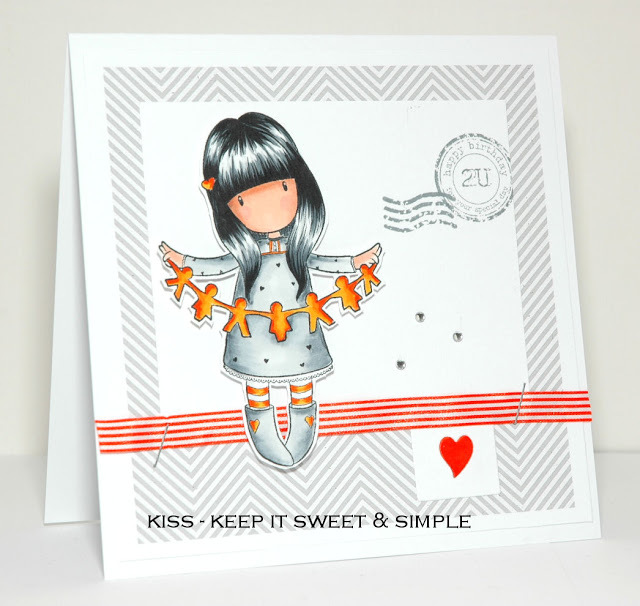 Laura Said: I think that this is such a beautiful example of a CAS design that is just stunning! The coloring on this image is gorgeous and really makes it pop off the page! A perfect example of how sometimes less is more! 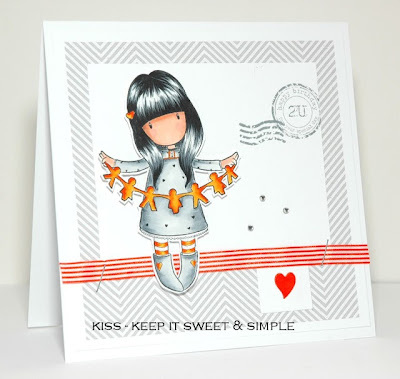 I always struggle with CAS cards so I always love it when I see such gorgeous examples of this style! 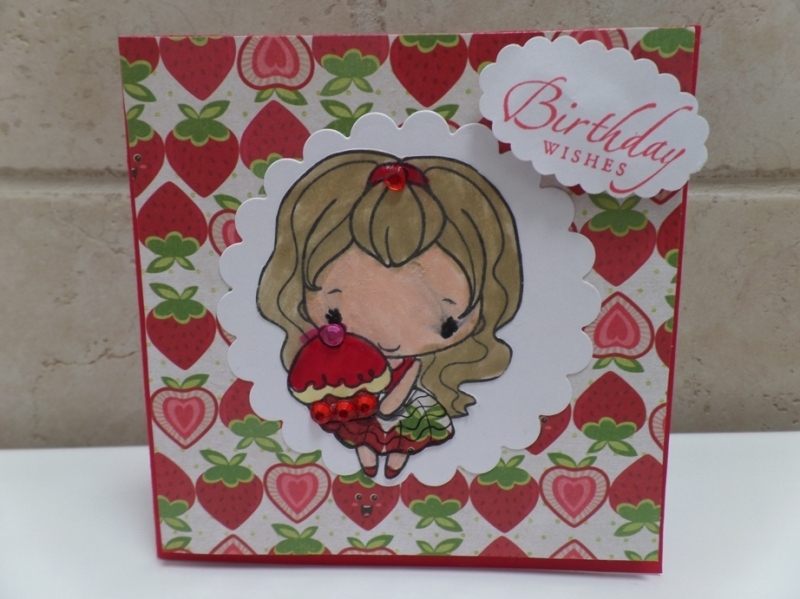 Laura Said: This card is jaw-dropping GORGEOUS! I hope someday that I will color as beautifully as this! The colors are so pretty and the way the image is colored just matches the papers perfectly! I love the layout and the accents which are beautiful but still let the image be the star! Such a gorgeous job! Thank you Holly for picking my card! I have fun playing challenges with my mom. I am so proud! Thank you for picking my paper bag album as one of your favs! Congrats to everyone you are all so talented! awwww Thank you so much Nicole for picking my card as your favorite! You just has made by day!! !